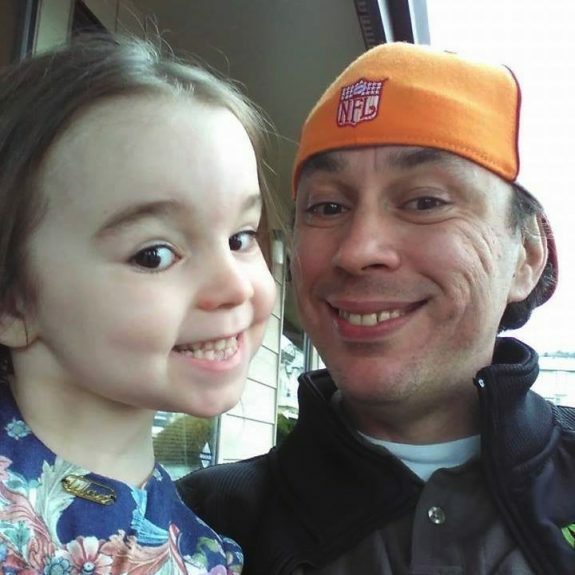 One Oregon dad is adjusting to spending life with his 5-year-old daughter Harmony again after being separated for the past 2 years. Searching the whole time, he found is little girl in an unlikely spot – a homeless shelter in another state. When Harmony was 2-years-old Bryan Thouvenel’s ex-girlfriend took the little girl out of state without his permission. The pair met at a bar in 2010, but the relationship turned sour and the woman left with the toddler and headed to Washington state. Even though he spent all of his time looking for her, the pair were off the map for two years. Despite this, the determined dad filed for custody of the little girl in March of 2015 and won. It was then that a friend told him they had seen Harmony at a Salvation Army homeless shelter in Spokane. Immediately, Thouvenel and his mother headed to Spokane to find his daughter. Once there, a Spokane judge upheld the custody ruling and ordered the little girl back to her dad. “It was hard, it was nerve wracking we were waiting at the courthouse, I told myself I’m not going to cry I’m going to be strong for my little girl until she jumped up on my lap gave me a hug and said, “I love you, Daddy” and I buried my head in her shoulder and a few little tears came down,” Thouvenel explained. Even though they are back together, Harmony is still worried her dad will leave again. “Any time I leave for work or just leave the room for instance she tends to get anxious and worry that I’m not going to come back,” he said. Thouvenel said Harmony still talks to her m0m via Skype and she has been approved to have supervised visits with Harmony. During this ordeal, Thouvenel said he got involved with an organization called Time to Put Kids First that aims to help families in his same situation. In May, the organization is sending Thouvenel and Harmony to Hawaii so the two can create new memories and rebuild their father, daughter relationship. Congrats to this dad for being re-united with his daughter and never giving up on finding her. Tamara & Petra Ecclestone Lunch With Their Little Ladies in LA!